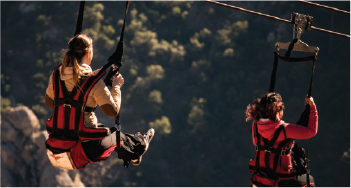 Copper Canyon - Book online now! Awarded, top 10 best hotels views in the world..
At Balderrama Hotels & Tours we strive to give our guests the most enjoyable Copper Canyon hotel experience available, at our five fine properties, with the best services, and a helpful and courteous staff that cater to your every request. 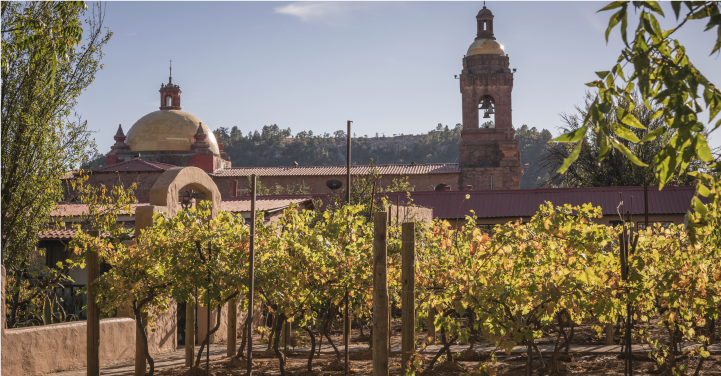 The Mirador Hotel is located at the canyon’s edge, near the highest point of the canyon. 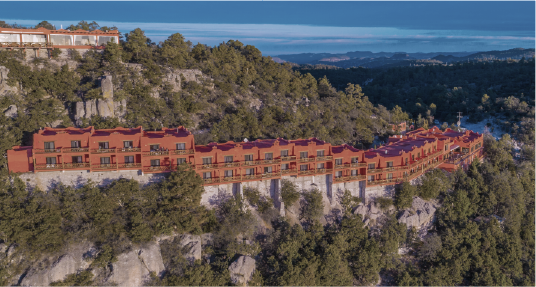 The Mirador is the premier hotel on the canyon rim and is the only hotel where each guest room has a spectacular view overlooking the canyon. 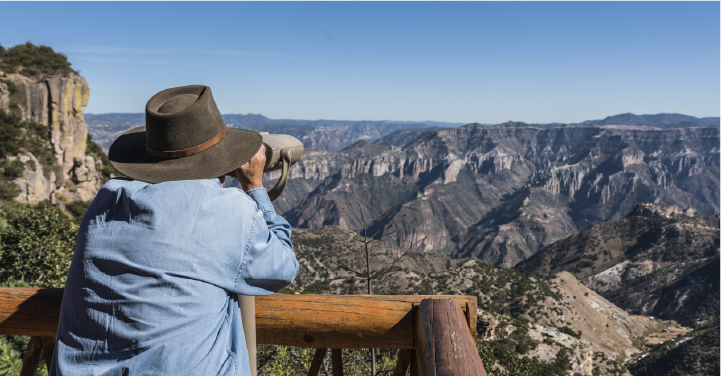 From the hotel you may walk to see the Tarahumara Indians who live in the canyon caves below. You can also shop for native crafts from the Tarahumara artisan vendors who gather in front of the hotel. 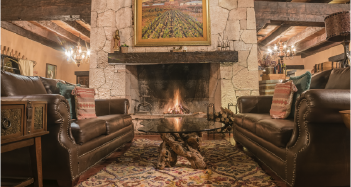 An hours train ride from Cerocahui, on the old El Madroño Ranch – part of the rich history of the colonization of this vast Tarahumara country– is the Posada Barrancas Rancho Hotel featuring 23 large rooms with charming Mexican hacienda decor. 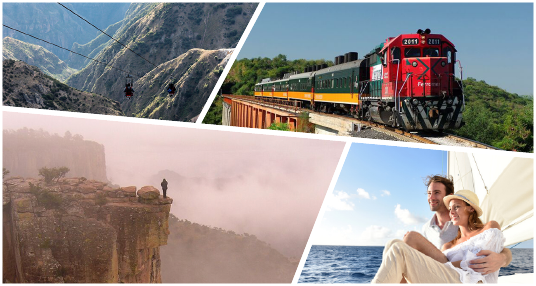 Guided horseback trail rides are a perfect way to enjoy the glorious scenery and there are daily tours available to a nearby Tarahumara village or to Creel for a visit to the museum or to shop for Tarahumara arts and crafts. 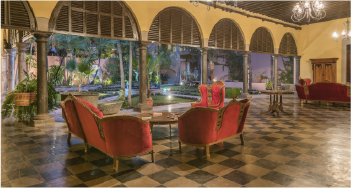 The Posada del Hidalgo is centrally located for exploring El Fuerte. 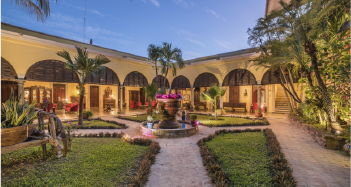 This beautiful hotel is a former colonial mansion built by Señor Rafael Almada in 1890. Most of the original pine beams and furniture were brought by boat from San Francisco, California. 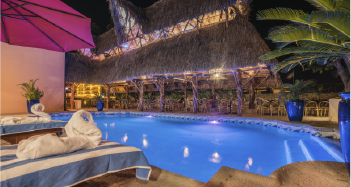 The hotel features a swimming pool, a hydro-therapy pool, restaurant, high ceilings with wood beams and two story balconies. All the rooms are air-conditioned and all have private tiled baths. 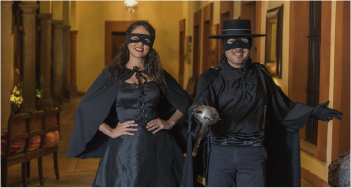 Don’t miss the El Zorro happy hour, appearing live! at 6 pm. 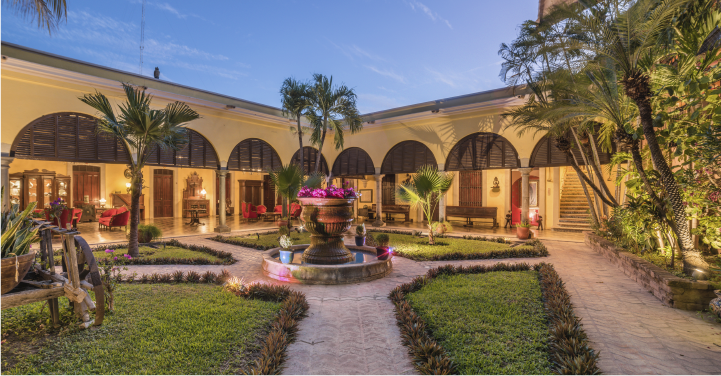 The hotel’s 41 spacious rooms with an attractive Mexican decor have private baths with wood stoves. 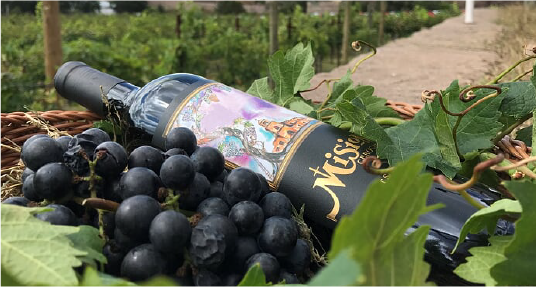 Hotel Mision has a comfortable, ample lobby with a large fireplace, bar, gift shop and dining room. Guests are transported by hotel buses from the Bahuchivo Station to Hotel Mision in Cerocahui along a picturesque mountain road. Unusual rock formations and beautiful streams help make the 35 minutes very enjoyable. 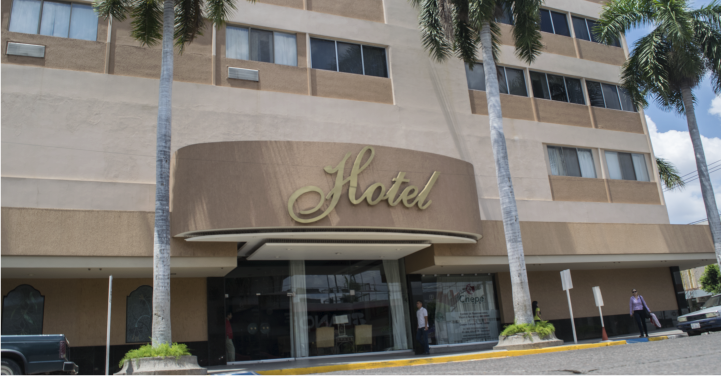 A modern hotel with 110 rooms and suites, known for its comfort and elegance, is located in Los Mochis, You’ll relish this hotel’s fine continental cuisine, featuring shrimp and other seafood, and you’ll start the day with a tasty Mexican breakfast buffet. 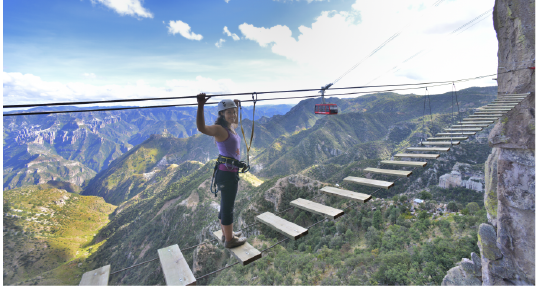 This is your gateway to the Copper Canyon. 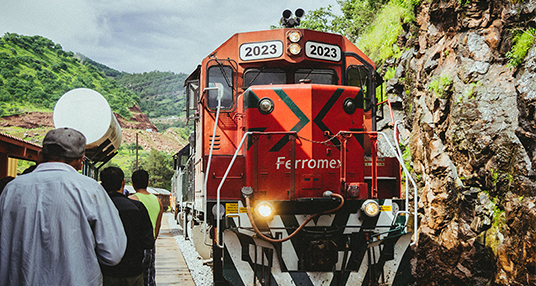 The Hotel Santa Anita offers transportation to the airport and to both Los Mochis and El Fuerte Chepe train stations. I just spent two delightful days at your lovely Posada Del Hidalgo. How proud you should be of your staff, kitchen and accommodations. Many Thanks, Muchas Gracias. 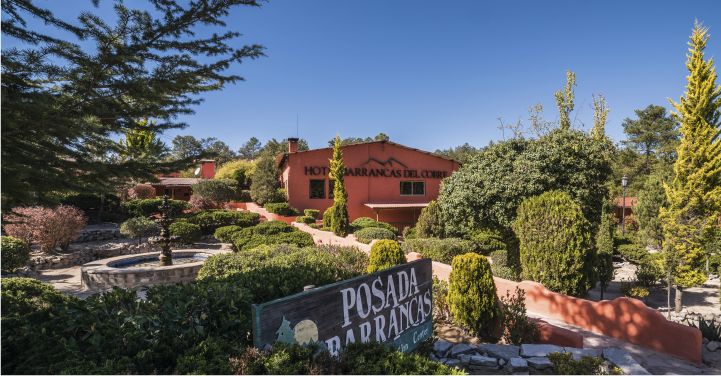 Loved the Posada del Hidalgo and the Posada Barrancas Mirador. Outstanding hotels! Food was wonderful overall. Great music!.